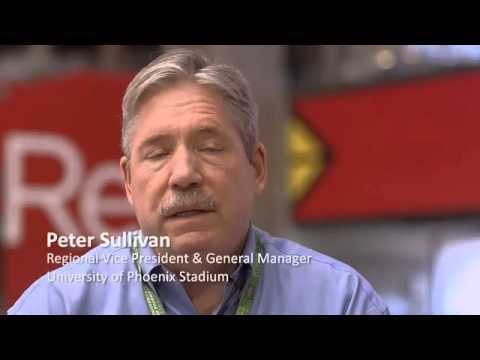 Ephesus Lighting installed their Stadium Series LED lighting solution at the University of Phoenix Stadium, home to the Arizona Cardinals, this past fall. University of Phoenix Stadium was the first NFL stadium to be lit by LED lighting, and will also be hosting the upcoming Super Bowl. The University of Phoenix Stadium, where the big game is being played, recently upgraded over 780 metal halide fixtures with 44,928 Cree XLamp MK-R LEDs, courtesy of Cree and Ephesus Lighting. And while it sounds like the new setup would draw far more power, it turns out those LED fixtures need a mere 310,000 watts of power to glow, compared to the 1.24 million watts required by the metal halide bulbs.